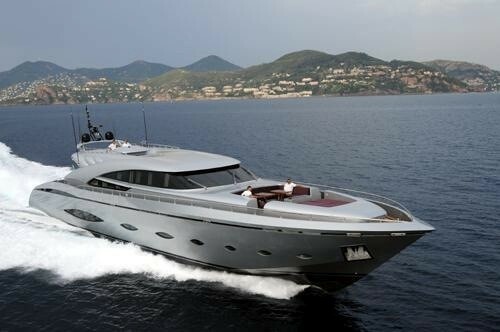 Motor yacht MY TOY (ex MARIA PIA) is an AB Yachts 140 which was built by AB Yachts and launched in 2009. 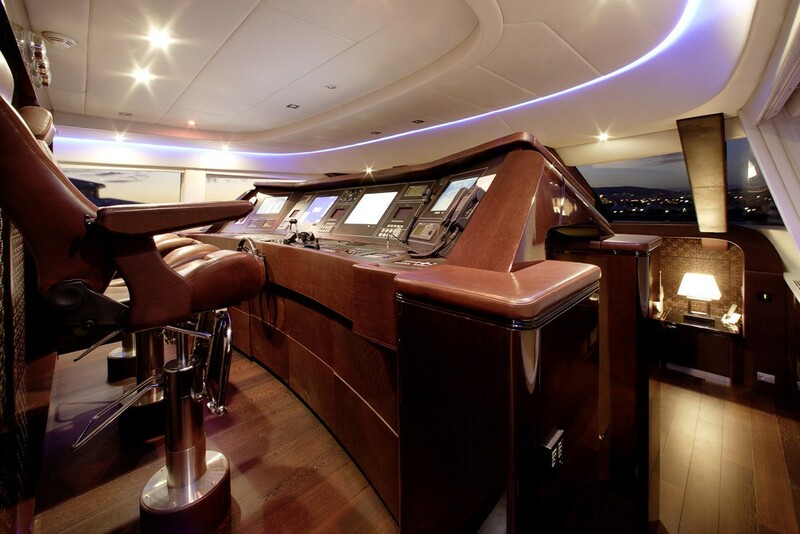 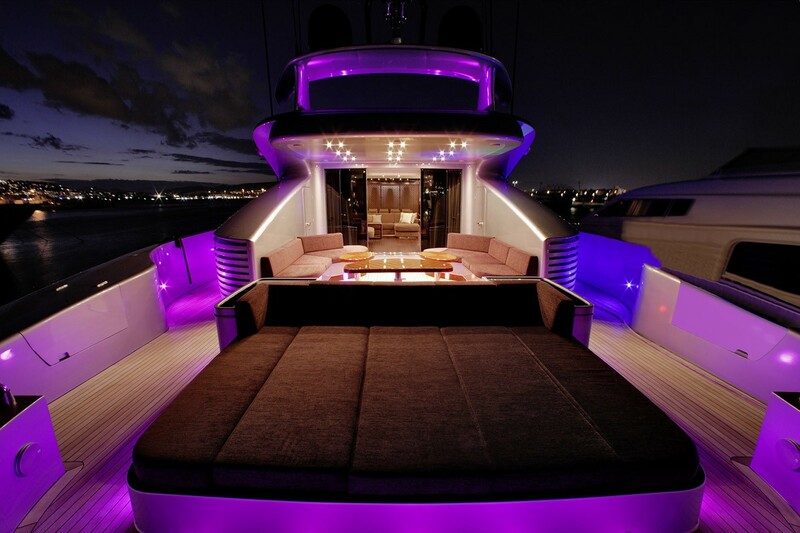 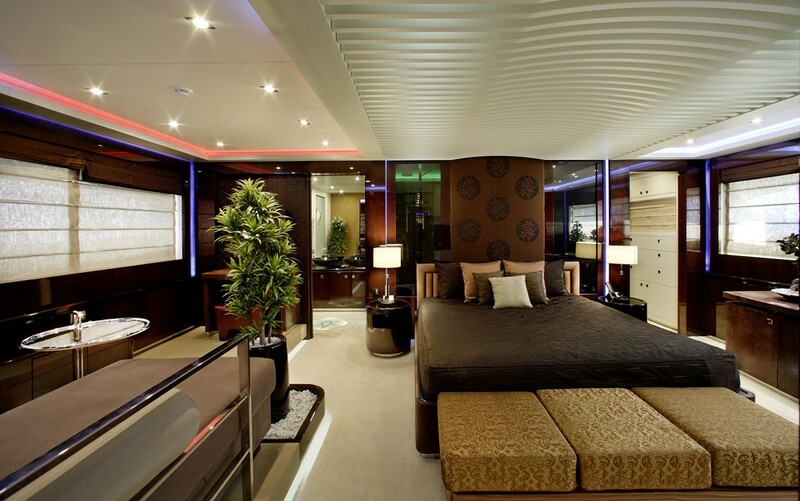 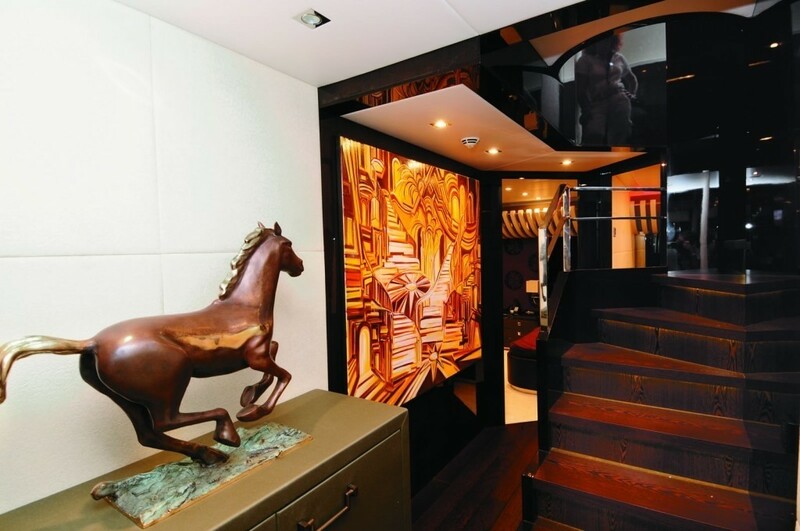 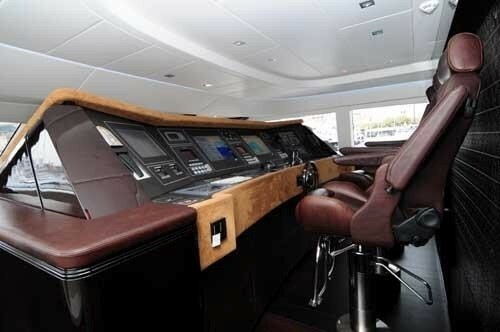 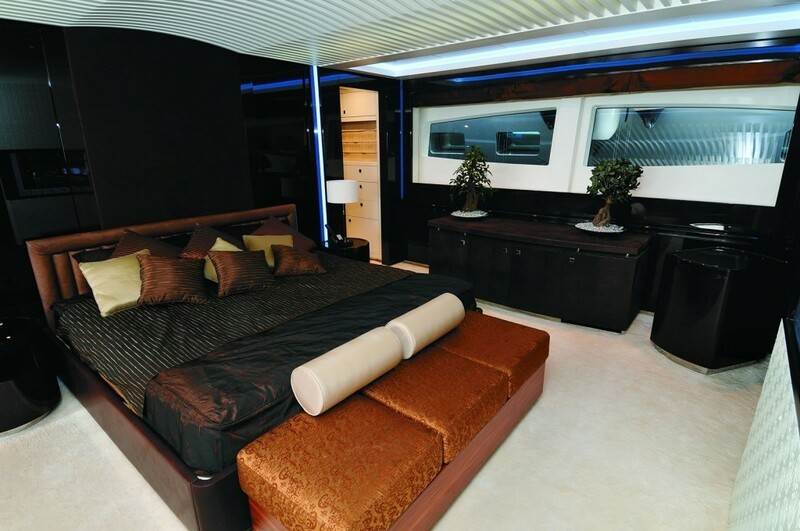 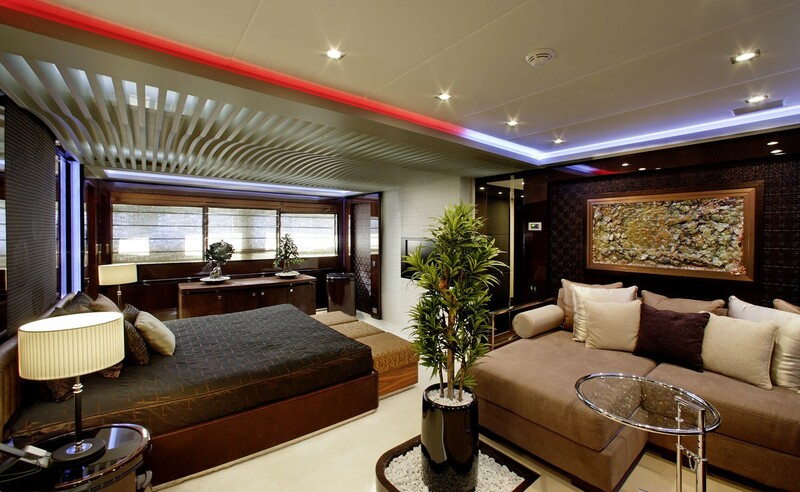 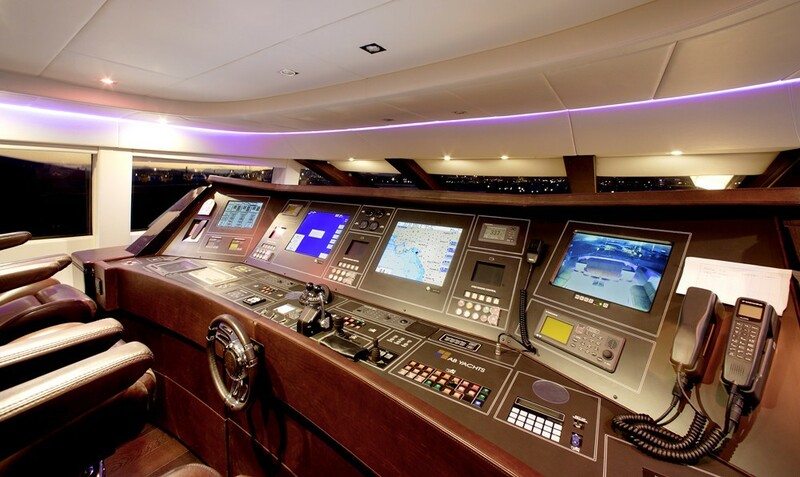 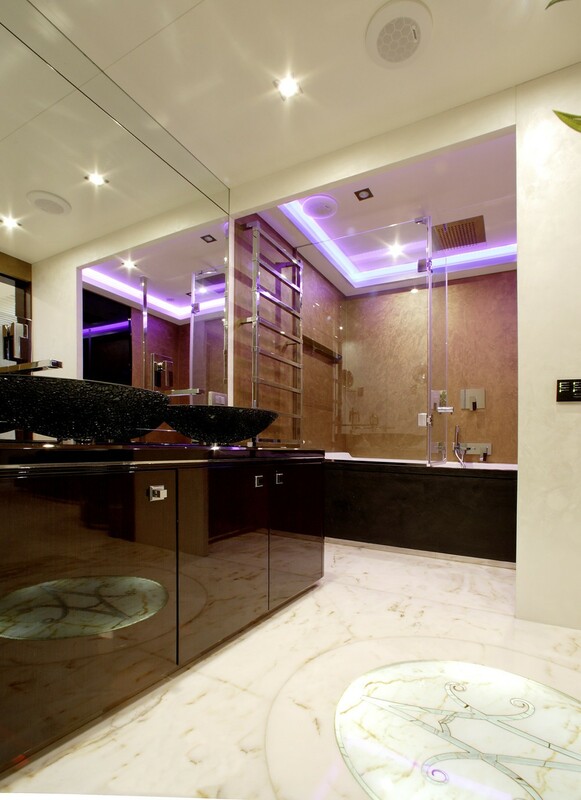 Luxury yacht MY TOY's interior was designed by Guido de Groot Design and has exterior styling by AB Yachts and naval architecture by G. Vafiadis. 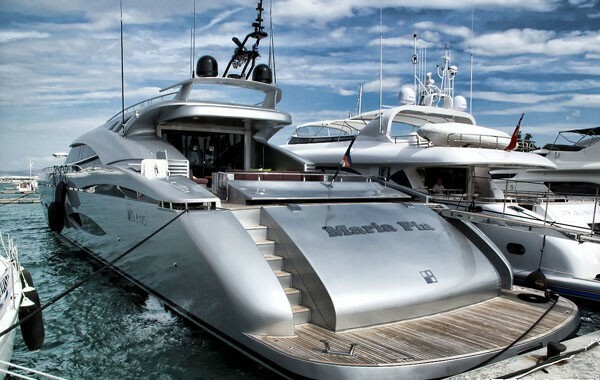 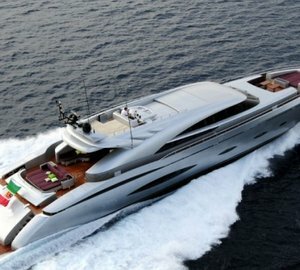 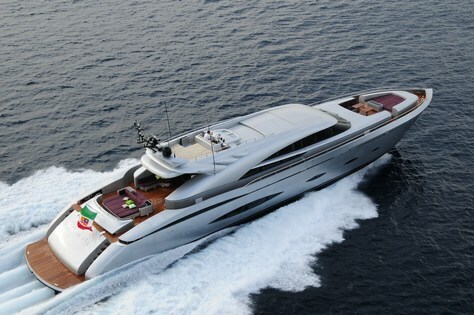 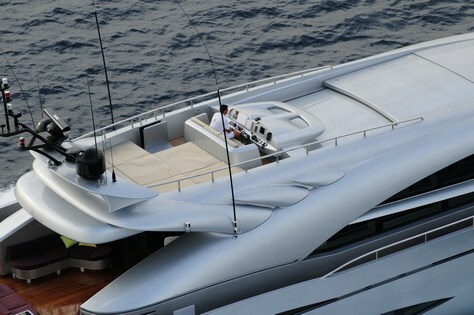 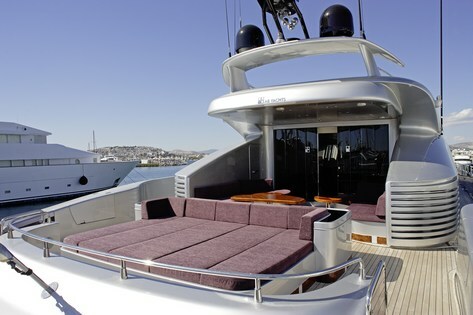 The yacht MY TOY is based in Bodrum, Turkey year round, available for luxury yacht charter in the Eastern Mediterranean. 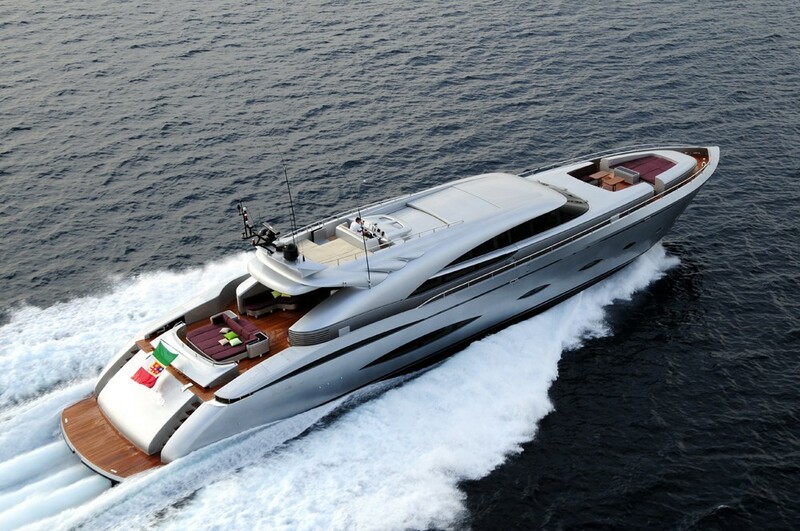 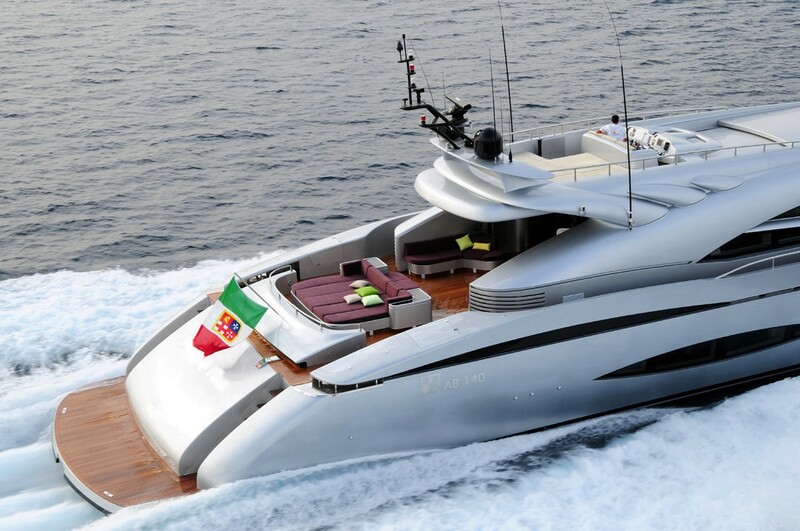 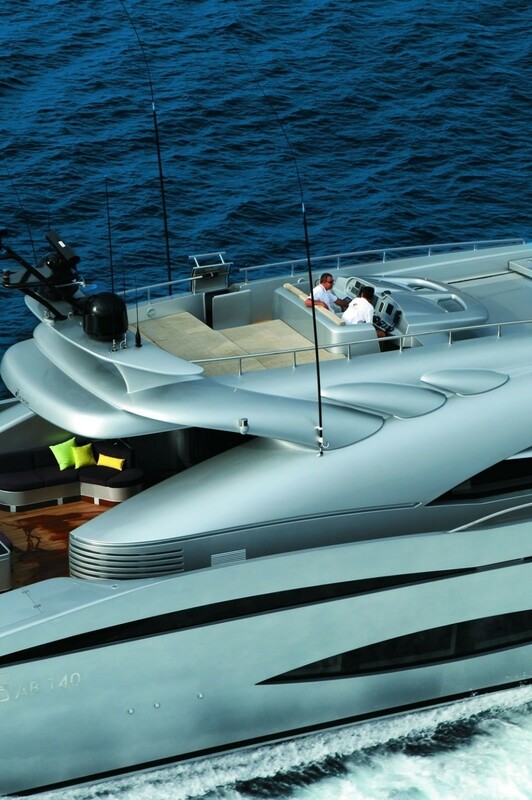 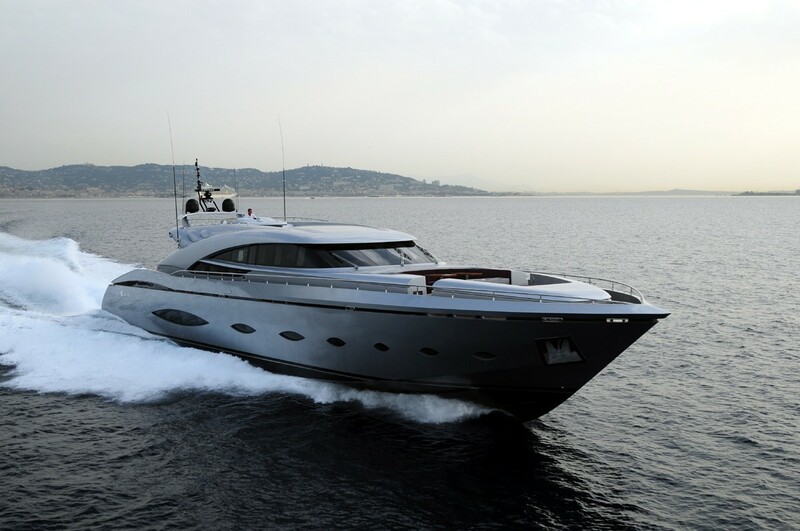 The MY TOY yacht boasts streamlined and aerodynamic external lines and 34 knots of cruising speed to back it up. 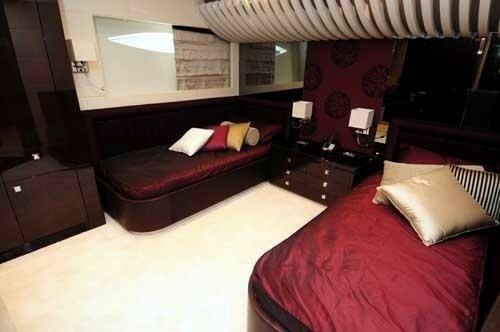 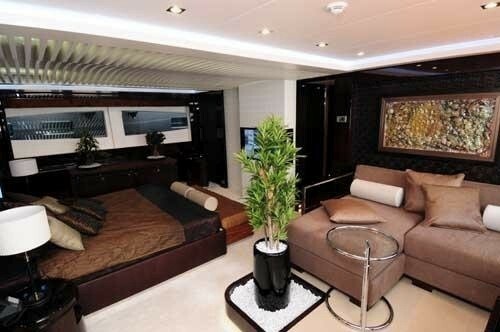 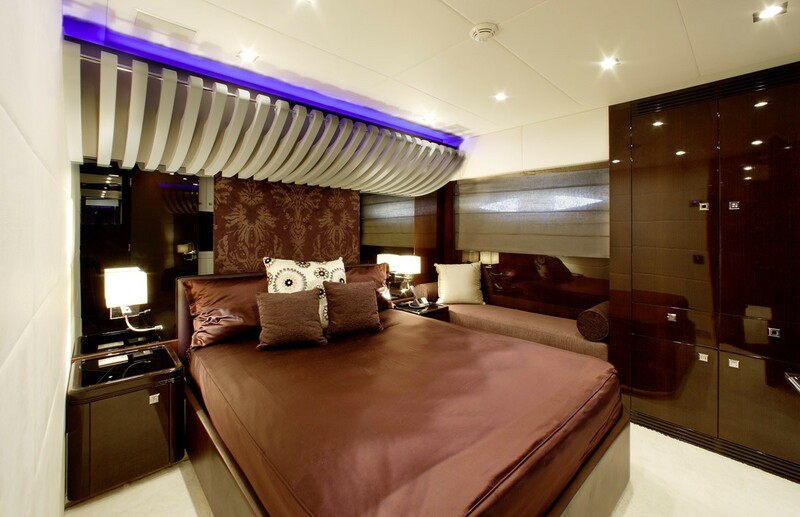 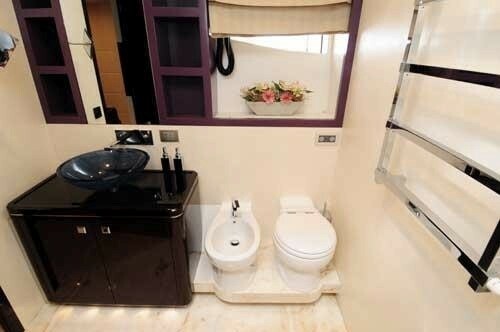 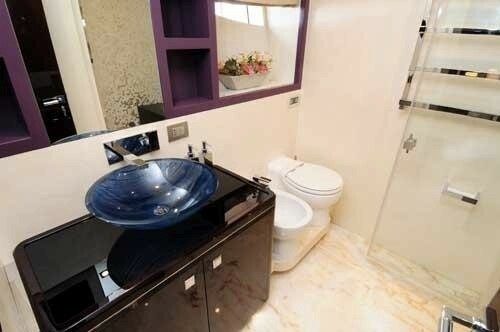 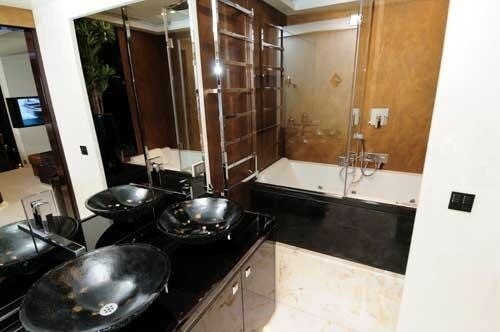 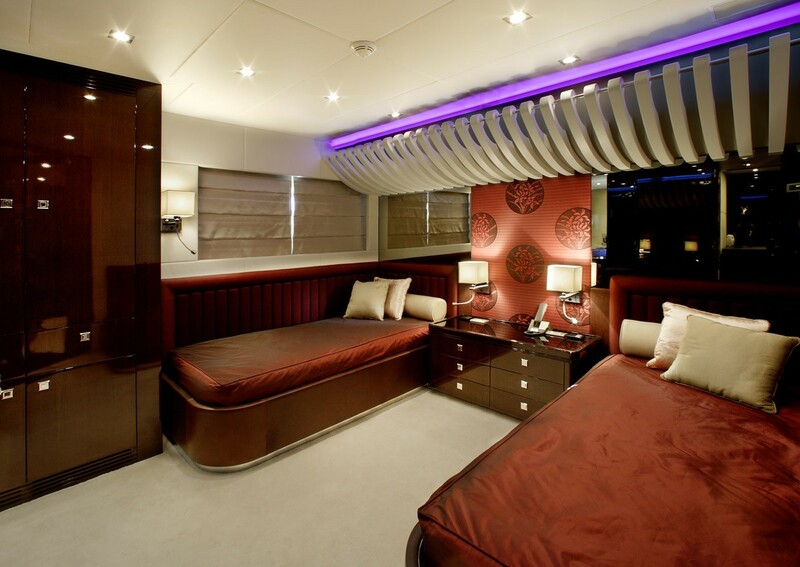 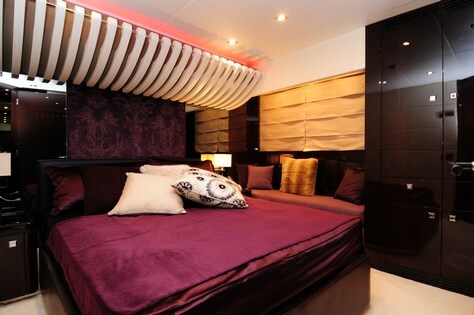 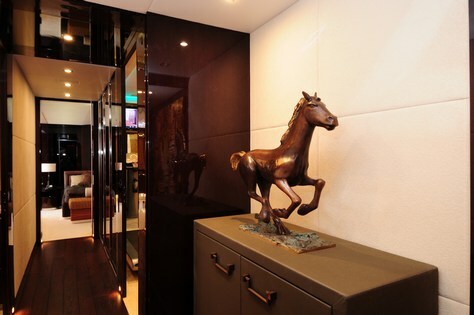 She has a subtle modern interior and is able to accommodate up to 10 guests in a master cabin with double bed and ensuite facilities and sauna, two VIP cabins with queen bed with ensuite facilities and one guest cabin with double convertible bed and one guest cabin with two twin beds and ensuite facilities. 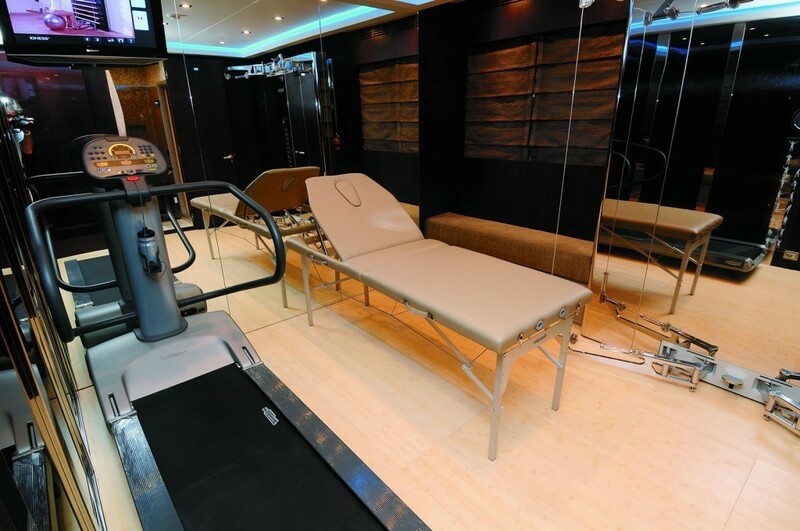 One gym room is fully equipped with Sauna room. 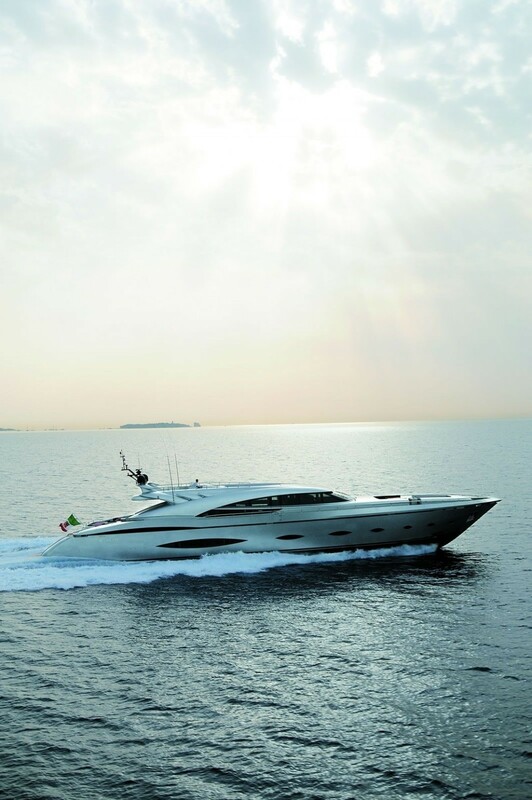 The AB 140 yacht is the largest semi-custom range produced by AB Yachts. 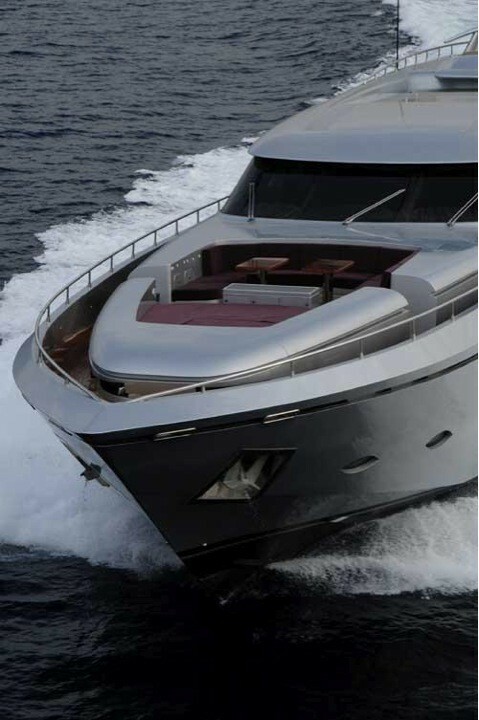 Measuring 41.60 metre sin length, the AB 140 is an open-style yacht intended for owners and charterers who desire speed and luxury. 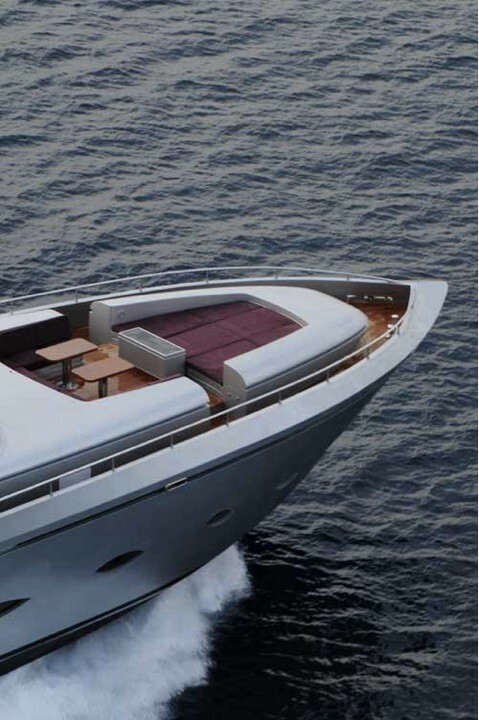 The AB 140 line features the attractive addition of a flybridge, however is still defined by the same cutting-edge technology found in the rest of the AB line, and waterjets that allow her to reach staggering speeds that will get you to your next destination in no time. 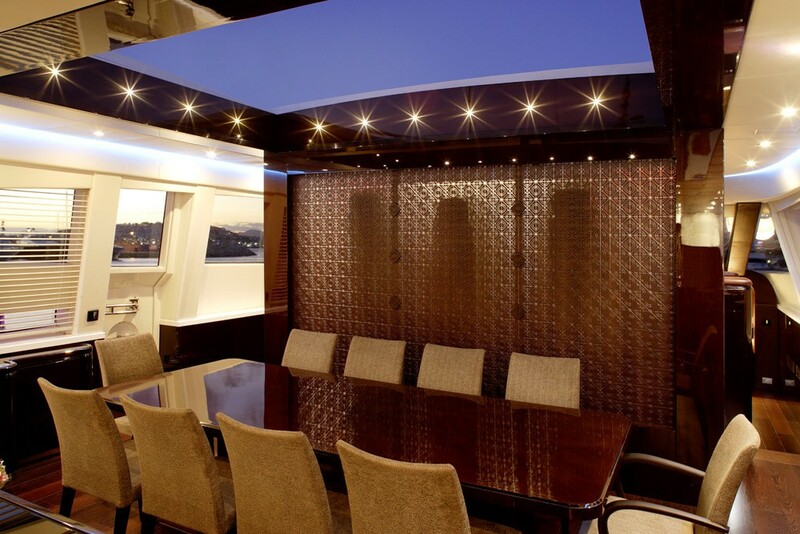 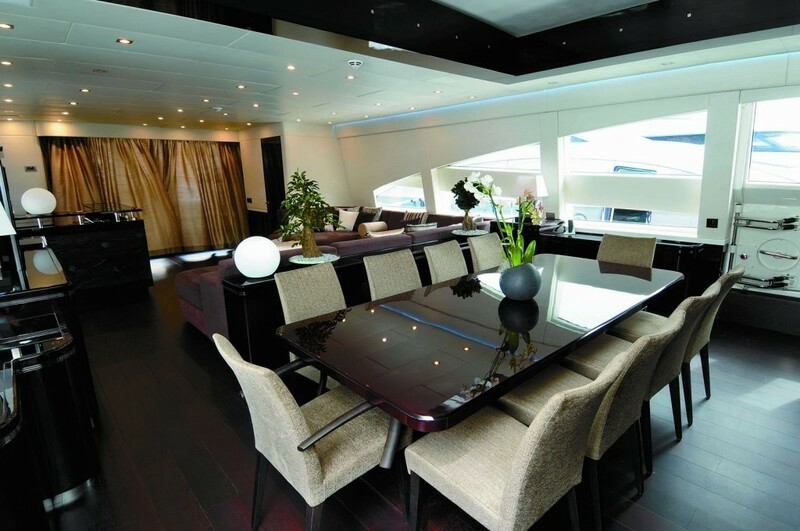 The salon living room and dining area of motor yacht MY TOY is a great area to relax, with a modern furnishings along with the latest audio visual and entertainment systems. 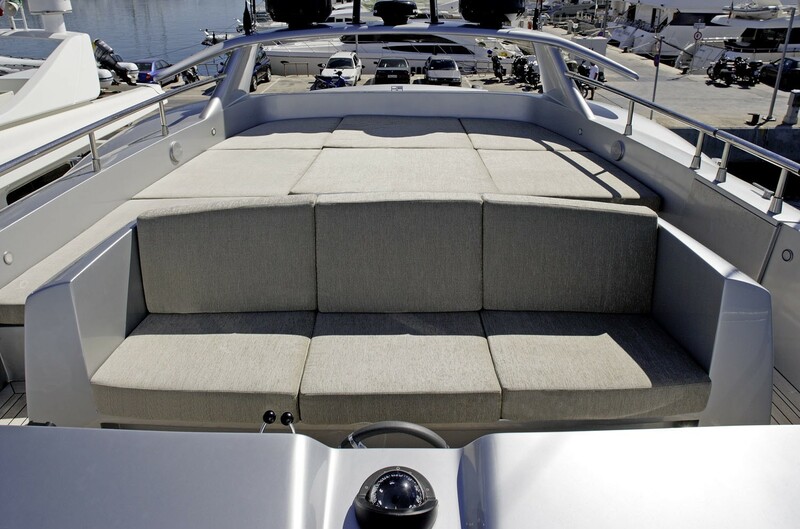 There is a retractable portion of the flybridge roof which enables guests to enjoy the warm summer breezes and feel close to nature. 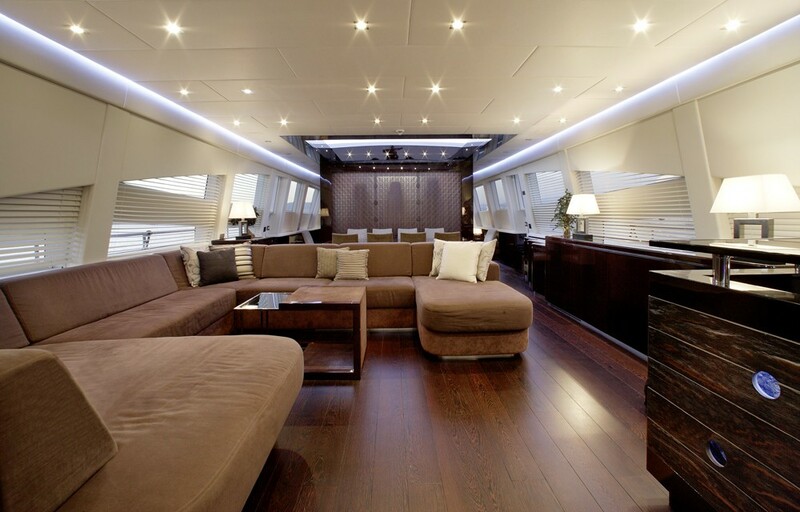 This, along with the large windows surrounding the main deck and the large sliding doors at the aft provide plenty of natural light. 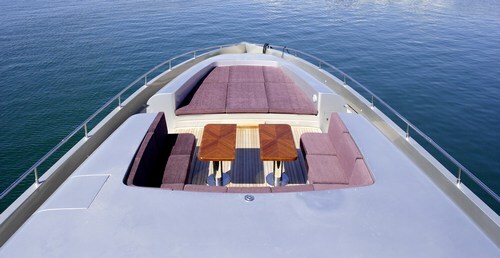 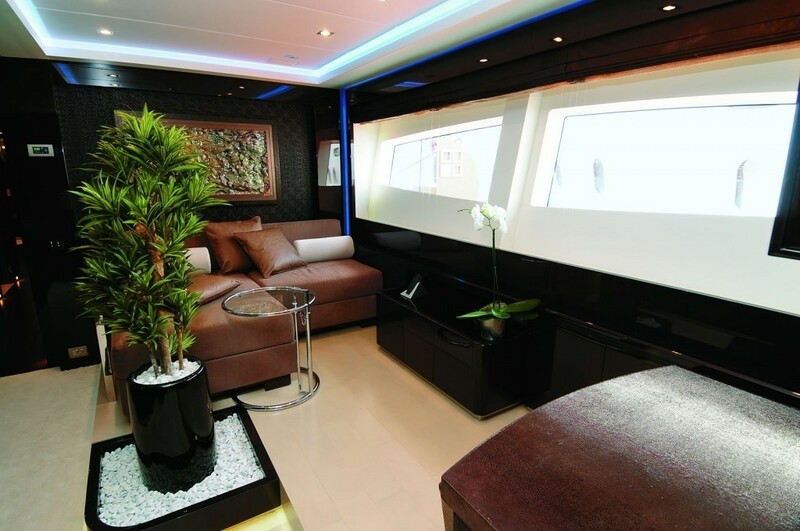 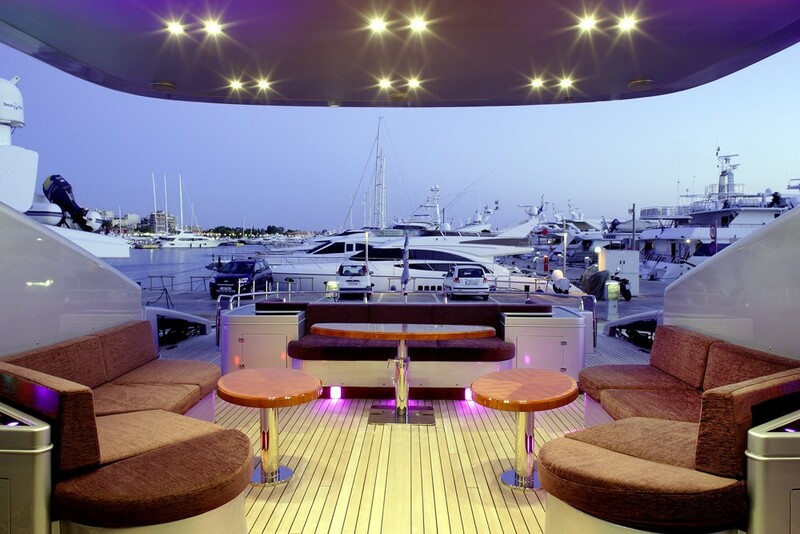 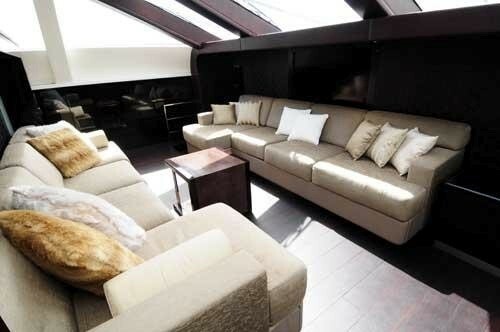 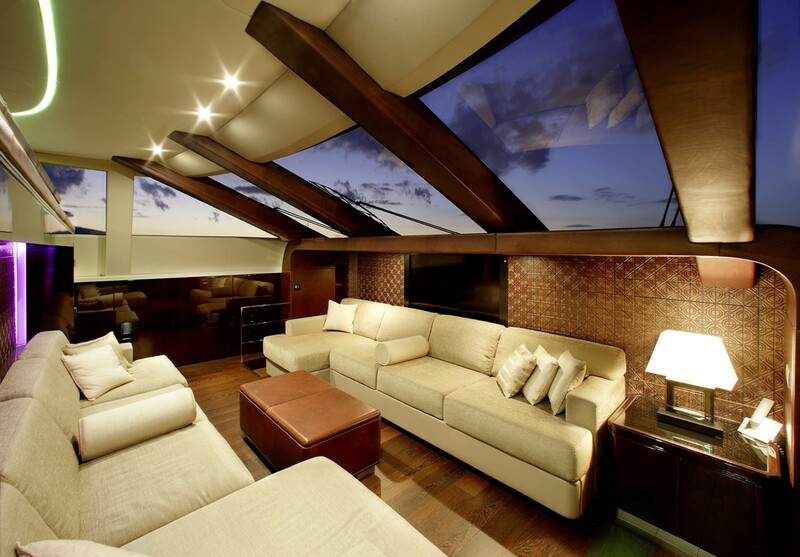 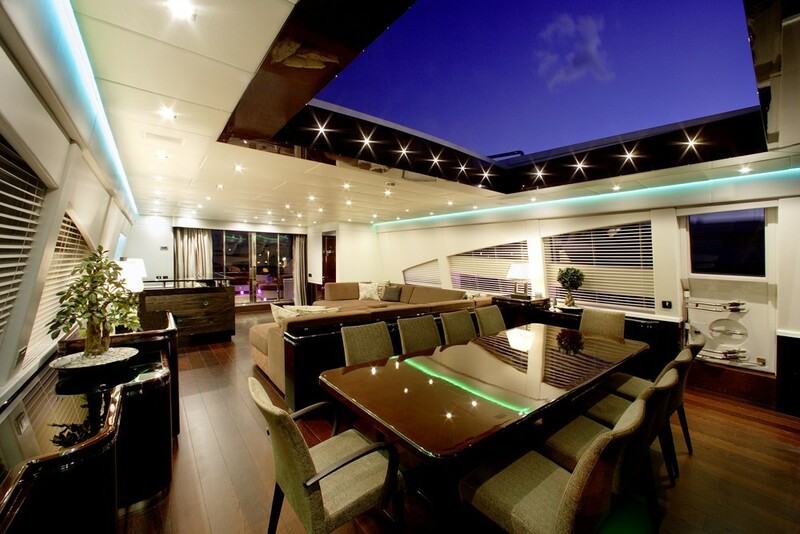 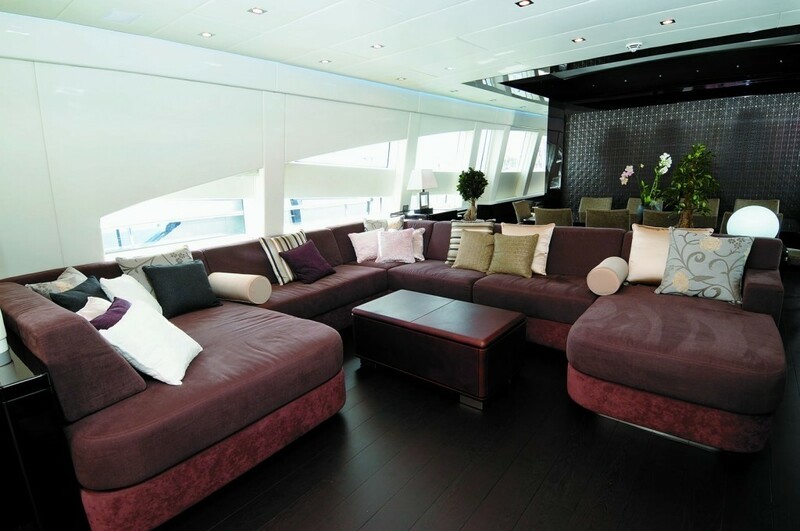 The large open aft deck provides a great spot to dine al fresco or enjoy lounging on the large sun beds. 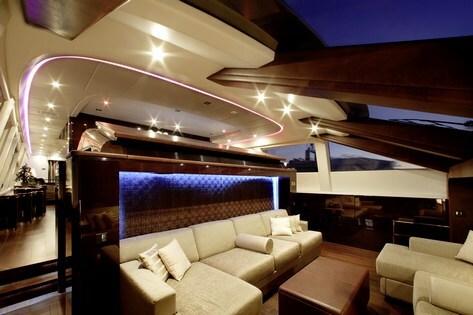 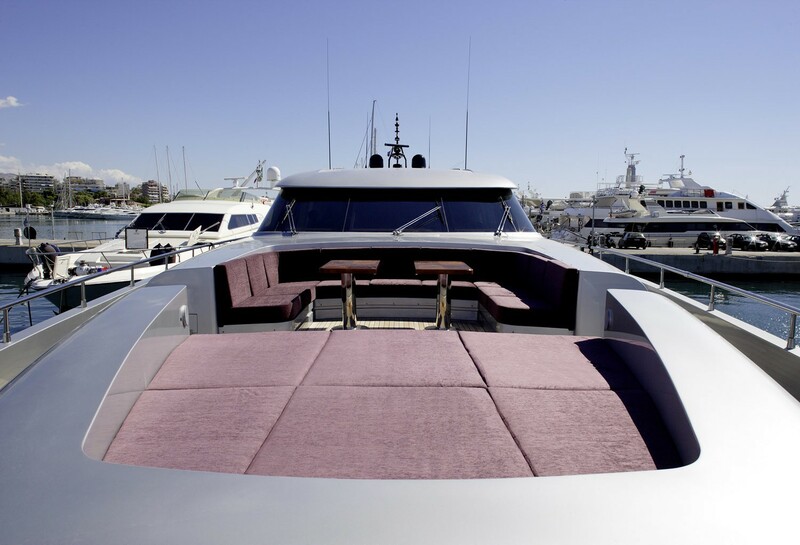 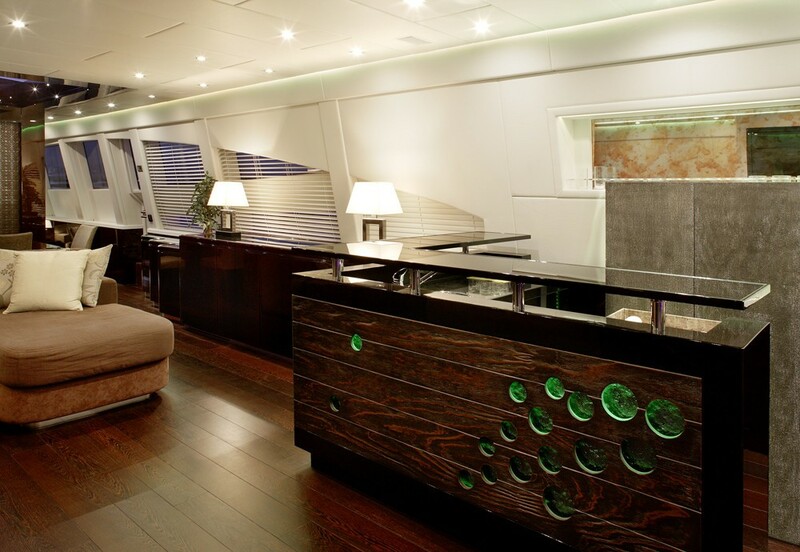 There is further seating on the flybridge as well as a section in the bow with seating and a table to enjoy cocktails or an al fresco lunch. 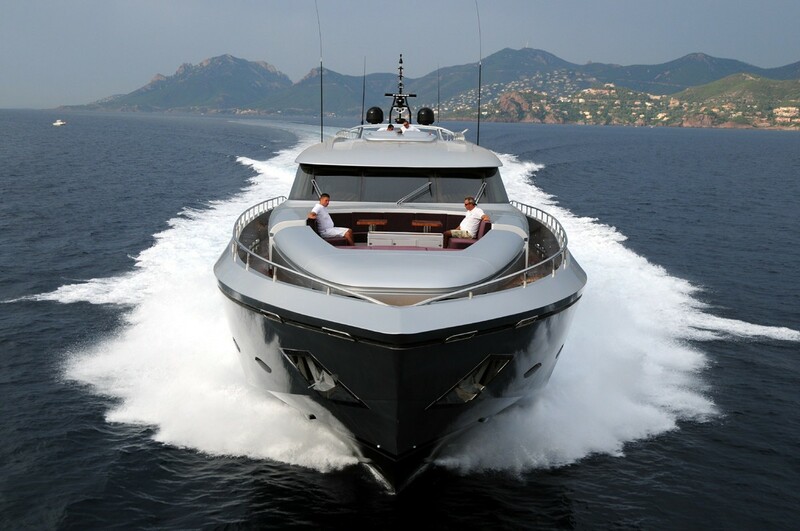 The opens style sport yacht MY TOY also has a great range of extras onboard including a Novurania 540, a Jet Ski, a Yamaha superjet 700, a Seadoo GT LTD 215 Hp, a Seabob, full scuba gear, full snorkelling gear as well as inflatable and towable toys, wakeboards, waveboards and kneeboards. 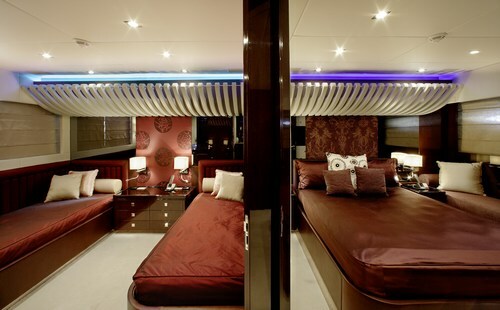 Luxury motor yacht MY TOY is able to accommodate up to 10 guests in a master cabin with double bed and ensuite facilities and sauna, two VIP cabins with queen bed with ensuite facilities and one guest cabin with double convertible bed and one guest cabin with two twin beds and ensuite facilities. 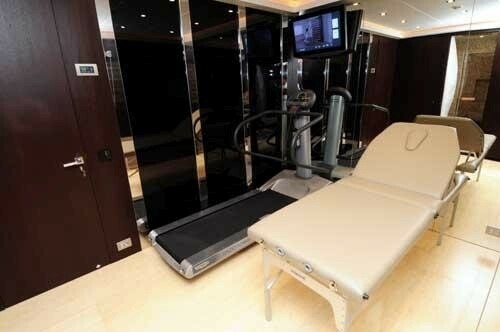 One gym room fully equipped with Sauna room.